Anyone mourning the passing of someone dear needs the support of friends and acquaintances. 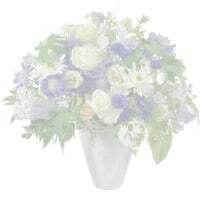 Here you'll find gently nuanced flowers for the funeral or the bereaved family at home, including appropriate cards. Flowers and heart-felt words provide some consolation in difficult times.